03/18/2016 – Update v6.9 Scripting Improvements & Beta Unity 5 Build! This update is a two-parter, the first focusing on the changes in the live build (all scripting) and the second is a beta branch you can opt in to, to test out Tabletop Simulator in Unity 5 (with all the regular updates as well)! Please check it out and let us know in this thread or this one of any bugs, issues, etc that you find. The more people who test it out and let us know of any problems, the faster we can get it working and implemented into the live build. Also, people on Unity 5 will be able to play with those on the live build. This is our initial upgrade to Unity 5 with all the same graphics. We’ll be looking into physics-based rendering in the future. Keep an eye out. Thanks for your help and hope you like the changes! Fixed getSeatedPlayers(). Deep copy of playerlist now. Fixed setTable(). It wasn’t working right in the first place. Fixed setGlobalScriptTable(). It wasn’t working right in the first place. colorToPlayerName() now returns nil if the player color is not seated and lets execution of the script continue. Removed error message from getObjectFromGUID(). It just returns nil which the scripter can check for. onPlayerTurnStart() is now called after player clicks OK in hotseat mode. Added “Global” global reference to Object and Global. Should only be used for referencing things that the Global Script owns. Deprecated getGlobalScriptVar(), setGlobalScriptVar(), getGlobalScriptTable(), setGlobalScriptTable(). Use Global.getVar(), Global.setVar(), Global.getTable(), Global.setTable() instead. takeObject() gains an optional parameter ‘callback_owner’. Added “resting” member variable to LuaGameObjectScript. 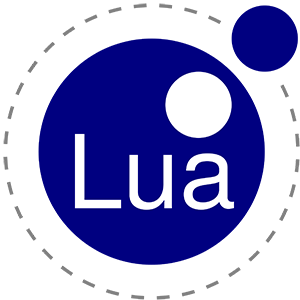 Spectators can no longer click on Lua created buttons. spawnObject() now takes a Table for a parameter which includes a callback function. Can now call createButton() immediately after clearButtons() in the same frame. Added Player class and getPlayer() function. Player class can get and set lift height for a player. Player class can tell if player is blindfolded. Setting this just calls blind()/unblind(). Player class has blind() and unblind(). Deprecated getPointerPosition(), getPointerRotation(), and getPlayerHandPositionAndRotation(). They are now in the Player class as getPointerPosition(), getPointerRotation(), and getPlayerHand(). Deprecated colorToPlayerName(). It is now in the Player class as steam_name member variable. Added Tablet URL to getValue() and setValue(). Fixed multiple buttons on a single object not syncing to players who joined late. Added addForce() and addTorque() to LuaGameObjectScript. Added getVelocity() and getAngularVelocity() to LuaGameObjectScript. Added mass member variable to LuaGameObjectScript. Added use_gravity member variable to LuaGameObjectScript. Added drag member variable to LuaGameObjectScript. Added angular_drag member variable to LuaGameObjectScript. Added static_friction member variable to LuaGameObjectScript. Added dynamic_friction member variable to LuaGameObjectScript. Added bounciness member variable to LuaGameObjectScript. Added held_by_color member variable to LuaGameObjectScript. Added guid member variable to LuaGameObjectScript. Added missing parameters for setCustomObject for Custom Model. Added spawn Custom Figurine, Custom Board, Custom Tile, Custom Token, and Custom Dice. Added onPickedUp() and onDropped() events to LuaGameObjectScript. takeObject() called from a deck will now take the top card and not the bottom by default. Added optional parameter to takeObject() for deck that will take from either the top or the bottom. Defaults to top. Fixed setRotationSmooth() and rotate() for (0, 0, 0). Objects taken from a container default to the rotation of the container if no rotation is provided in the parameters. If you set the rotation on a card but want to keep it facing (up/down) the same way as the deck, set the z component in the rotation parameter to the the z component of the deck via deck.getRotation().z. onObjectDestroyed() now has the object reference as a parameter. It has 1 frame left to live. It fires immediately before the object’s onDestroy() event. Added removeButton() to LuaGameObjectScript. It takes a frame for the button to be removed so multiple buttons can be removed in the same frame with their indices being preserved. In the following frame, the indices of any existing buttons are updated to their new locations as children on the object. Calling getObjects() on a deck now returns a list of the cards with their indices inside the deck. takeObject() can remove a card from a deck based on its index in the deck. Added cut() for stacks and decks. Added getStateCount(), shuffleStates(), and setState() to LuaGameObjectScript. These are the changes that are different from the live build and Unity 5. To opt in to the beta, right click on Tabletop Simulator in your Steam library, then click Properties. There will be a new “Betas” tab. At the drop down menu choose “beta – Unity 5”. If it asks for a code, you can ignore it, as you will get the download. You will need to opt out of beta again to get back to the live build, but all players can play with one another, regardless. UI should be much more responsive. Box select now works properly when 3D Text is selected.